Often I have heard parents say “I wish there was a rule book I could follow to get this parenting thing right.” And in all honesty, there isn’t one certain way that tells you what to do to the letter in order to get the results that you want 100% of the time. There are so many ways of raising children; it’s almost hard to keep up. More so, there isn’t one way of parenting that is the best way, it’s a collection of ideas and techniques and much more that raises a child. However, I could give you secret weapon- weekly “PRINT AND PLAY” ideas! As a parent I have found these website amazingly helpful in provided FREE PDFs which can be downloaded, printed and played with immediately. This website will provide you with many printables to pick and choose from. Your child will be spoilt for choice. 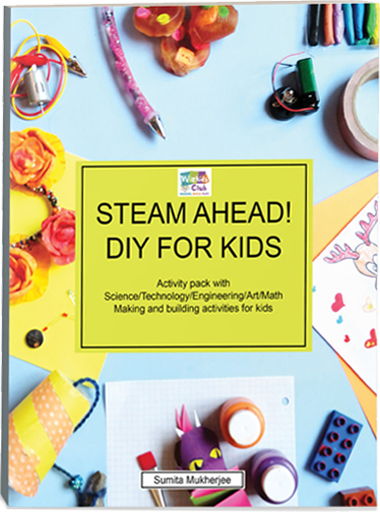 You will find paper crafts, outdoor activities, arts and crafts, printables and much more! 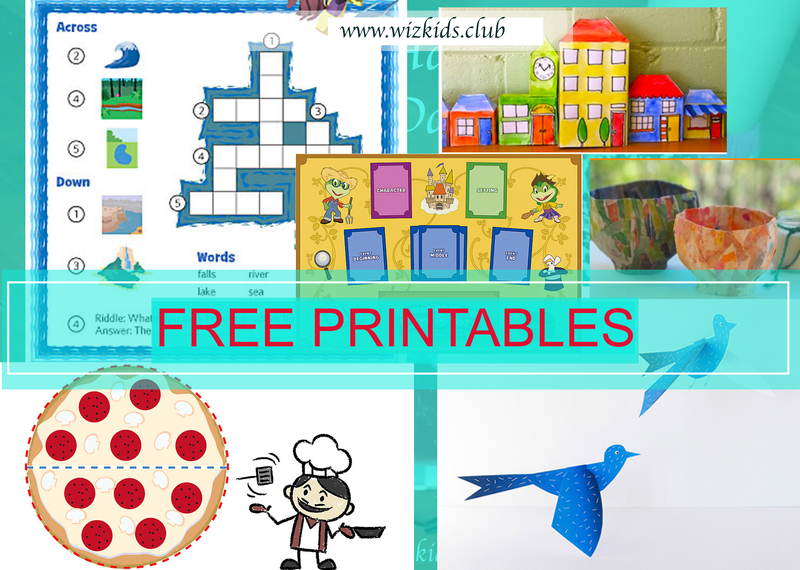 If you are looking for a wide range of simple and complex printables, this is your site! From the Eiffel Tower to a house and to a party hat. They have got it! 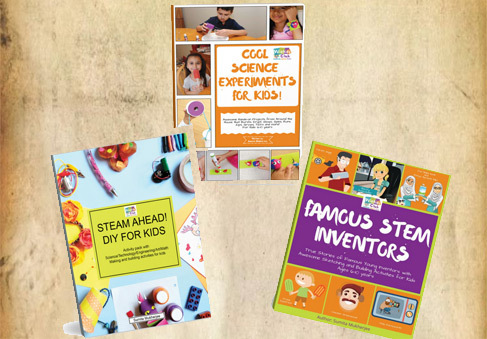 Here you come across printables of all sorts, activities, décor ideas to name a few. If you are on the go, about to take a trip and need to keep the kids busy then head on to this site and find some fun paper games. More paper games can be found here! This is like going to a puzzle candy store! So many options, so many puzzles to pick from. What to do! Another useful website with more puzzles to keep your children busy and entertained. Looking for a little bit of origami, you need not look any further! Be smart, simply print and let kids play. When I watch my child decide on the book we are going to read next, I can’t stop but reflect on my childhood. I quickly go into a reminiscent space where I recall the books that I used to pick for my parents to read for me. A lot of good memories were built then, and I have come to realize that it’s important that she reads some really important life-changing books that will help in molding her outlook towards life. Books that leave behind a positive message. Kate DiCamillo once said, “Reading should not be presented to children as a chore or duty. It should be offered to them as a precious gift.” I couldn’t agree more. Reading should be inculcated in your child’s everyday life as something fun and exciting. Remind them that for some minutes in the day they can let their imaginations run wild and enter other worlds. 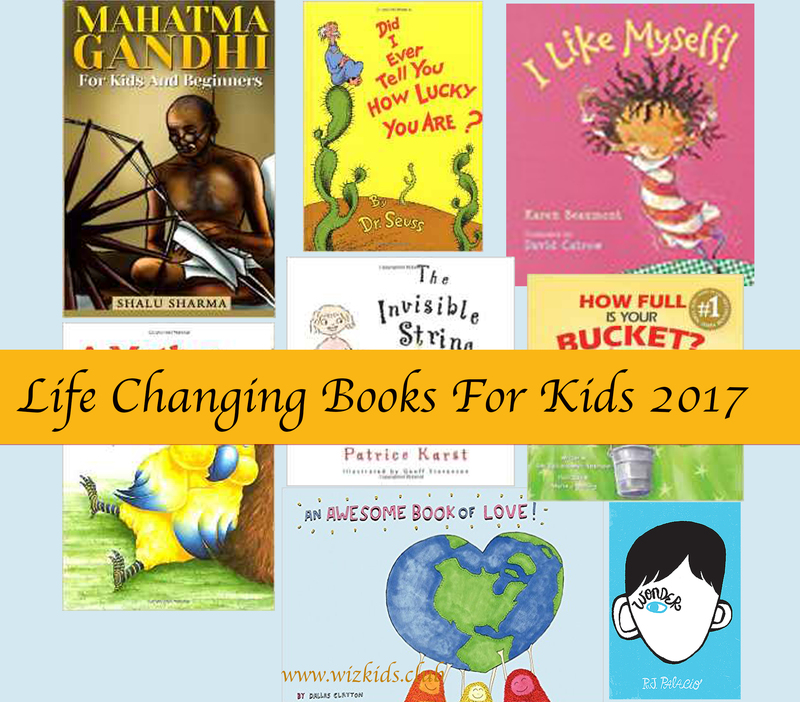 So based on that I have decided to compile a list of 9 life-changing books that I feel are a must read for all kids! Ready, Steady, Read! This book gives you some insight into who Mahatma Gandhi was and what he stood for. What he did with his life and who his family was. If you want to know about the life-changing work he did for humanity, this a good book to read with your young ones. What a lovely read! This book is about a 10-year called Auggie whose goes to school for the first time. What makes him different is that his face is startlingly malformed. This book will tug at your heart, will leave you laughing and in tears. It will teach you a thing a two about judgments, compassion, and humanity. If you would like your child to learn about courage, bravery and character then this book will tick all those boxes. A fun, children-appropriate book that looks at the inspiring tales of 30 kids around the world who have done some pretty amazing stuff and changed lives drastically. This heartwarming book teaches about how love is at the center of the family. It doesn’t matter what the family looks like or who is part of the family. This is one of the most popular books that looks at the dynamics of adoption for children. In this loving book, Clayton describes the different types of love that exist in the world. Enjoy the loved filled journey! If you would like your child to learn about the importance of their actions then this book will get the conversation started. The book talks about how everyone has an invisible bucket and that you are either filling it or emptying it throughout the day with positive or negative things. You are also constantly filling and taking from other people’s buckets. This concept is explored through a powerful metaphor. This spectacular book reminds children that they need to love everything about themselves. A spirited, reassuring, high-energy book that will leave the little ones in good spirits. This book is specially written to help children deal with being apart from those they love. Be it due to death, distance or anger, it reminds us that love will keep us connected continuously. An ideal book that deals with handling bereavement as well. Feeling a little in the dumps? Dr. Seuss will take care you. Finding a little bit of gratitude, taking a moment to look at what you have and not dwelling on what you don’t have or what seemingly looks like a terrible day will turn your day around. Dr. Seuss knows how to make it all better. There you go, folks! 9 Amazing books that I feel that every child should get their hands on. After all, we are raising powerful little beings, it is paramount that we support them along the way, and a really good positive book will do that. When I watch my child enthusiastically page through one of her favorite books, full of wonder and awe and I think to myself that I need to get more books into her hands. I then realize that building a library collection for her maybe one of the biggest gifts that’s I can give her. Well, of course, right up there with love, kisses, and support. Reading is a good way to exercise your child’s brain. It does this by constructing and reinforcing brain connections. Want to improve your child’s attentiveness? Get them to read. Reading often will allow them to sit still and focus for longer portions of time. Greatly improves language and vocabulary. Children absorb things around them all the time, and reading allows them to learn new words, sentences constructions and how to use them effectively. A wonderful way for your child to cultivate their imagination. Reading allows your child to imagine the characters and what they could possibly look like. It allows them to paint a picture and engage with the characters. As you can see, there are many critical benefits to your child getting into the habit of reading. So instead of leaving it to chance, or leaving it to the school system, take the power into your own hands. Take the initiative and invest in your child and create a BUDGET for their books! Create a nice collection for your child. Buy new books, buy used books. Go online to sites such as www.amazon.com, buy them at your local markets. Buy boxed sets as well, they tend to be more cost effective. Keep the books flowing into the household so that you create an amazing library for your child. You think you don’t have the money? Hmm, how about, wrong! Think of all the things that you spend your money on that are nice-to-haves and not must-haves. All the pizza days, spa days and nights out with gals. 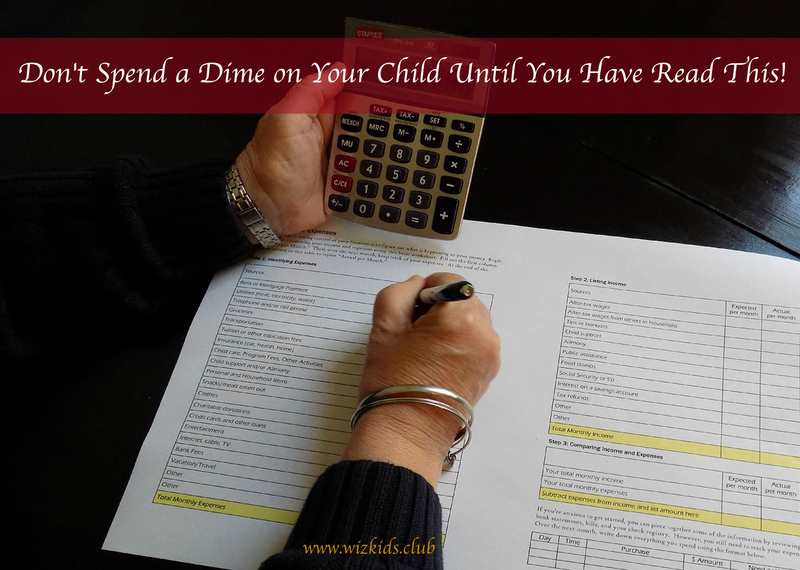 You can reroute some of that money into your child’s wellbeing. It’s important that you don’t look at this as ‘doing them a favor’ or ‘losing a bit of your money’. Nope, not at all. You are loving them enough and supporting them to the best, well-adjusted children that they can be. That’s it, building and curating a library for them gives them an added advantage in life. So this makes it a no-brainer right? We I certainly think so too. Frank Serafini once said, “There is no such thing as a child who hates to read; there are only children who have not found the right book.” As time goes on, you will fill their library with timeless classics that they too will learn to love for years. These same books can be passed on to your other children, borrowed to family members, a kiddie’s exchange book club could be started. Mix up the collection with activity books, reading books, joke books, drawing books, you name it! In a nutshell, a book budget should always be part of the family budget. Right up there with vegetables and toothpaste. The benefits of a reading child outweigh the benefits of a movie night anytime!